HONOLULU (AP) — Hawaii’s Kilauea volcano erupted anew before dawn Thursday, spewing a steely gray plume of ash about 30,000 feet into the sky that began raining down on a nearby town. The explosion at the summit came shortly after 4 a.m. following two weeks of volcanic activity that sent lava flows into neighborhoods and destroyed at least 26 homes. Scientists said the eruption was the most powerful in recent days, though it probably lasted only a few minutes. Geologists have warned that the volcano could become even more violent, with increasing ash production and the potential that future blasts could hurl boulders from the summit. Toby Hazel, who lives in Pahoa, near the mountain, said she heard “a lot of booming sounds” Thursday. Those came after days of earthquakes. At least one person who was awake heard nothing. Epic Lava tour operator John Tarson is an early riser and said he only learned about the eruption because he received an alert on his phone. Tarson said the ash plume looked different than others he’s witnessed because of its sheer height. A video he shared on Facebook showed a towering column of ash reaching into a hazy sky. Residents as far away as Hilo, about 30 miles from Kilauea, were noticing the volcano’s effects. Pua’ena Ahn, who lives in Hilo, complained about having labored breathing, itchy, watery eyes and some skin irritation from airborne ash. A National Weather Service ash advisory was in effect until noon. Several schools closed because of the risk of elevated levels of sulfur dioxide, a volcanic gas. The crater sits within Hawaii Volcanoes National Park, which has been closed since May 11 as a safety precaution over risks of a violent eruption. 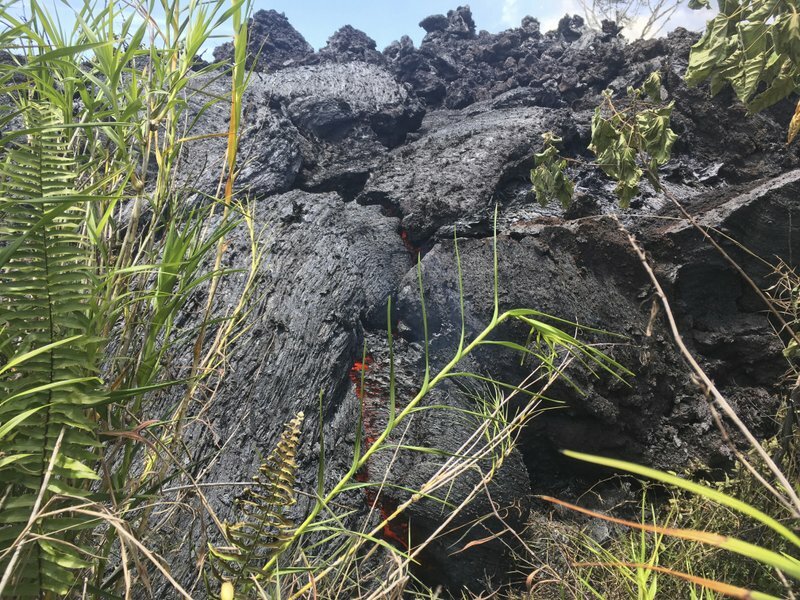 Scientists warned May 9 that a drop in the lava lake at the summit might create conditions for an explosion that could fling ash and refrigerator-sized boulders into the air. Geologists predicted such a blast would mostly release trapped steam from flash-heated groundwater. If it happens, communities a mile or two away could be showered by pea-size fragments or dusted with ash. Kilauea, one of the world’s most active volcanoes, has been erupting continuously since 1983. It’s among the five volcanoes that form Hawaii’s Big Island, and the only one that’s actively erupting. An eruption in 1924 killed one person and sent rocks, ash and dust into the air for 17 days. His business has been hit hard by fears of the volcano, a major attraction for visitors. He’s lost hundreds of reservations and had just three guests Thursday instead of the 12 to 14 he has typically served. One was a news reporter, and the other two were visiting from Italy. Associated Press writers Jennifer Kelleher and Audrey McAvoy in Honolulu and Becky Bohrer in Juneau, Alaska, contributed to this report.